Luckily this week was a little less warm than last week. Unfortunately while it did cool down outside, it was harder to cool down the inside of our house. 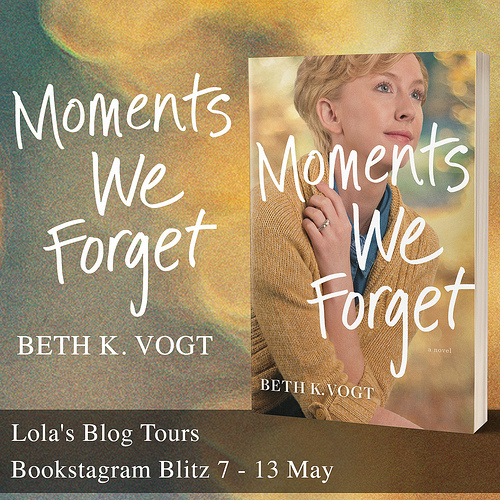 It was a busy week on Lola’s Blog Tours, lots of media kits that had to be sent out as next week there are 5 cover reveals that will take place. 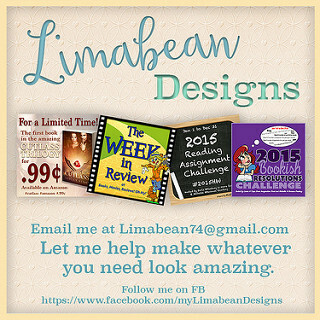 And a new review opportunity and blog tour open for sign-up. It was a busy week and lots of mornings I had to stand up early, so I am feeling pretty tired. I think the colouring book I ordered got lost in the post :(. I am so sad as I am really looking forward to it and now it’s almost a month later and it still isn’t there. I contacted the bookdepository and luckily they have pretty awesome customer service and they will send me a new one :). Snickers is still recovering from her surgery, but her wound looks good. She did tear one of her stitches out, but it wasn’t that bad as the wound was still closed, just a stitch hanging out. On Tuesday evening we put her in the cage for a little bit, we did keep her apart that night and then wednesday morning we put her back in the cage for real. She’s happy to be back in her cage with Smarties again. On thursday I went shopping with my mom and sister. We went to The Hague, which is pretty close by where I live. I hadn’t been there for a while, so it was fun. We ate some really yummy cupcakes. I also got a few new shirts and socks. And a cake tester, I’ve been looking for one everywhere, so I am happy I finally have one. It was a fun day, although I did was a bit tired afterwards. Saturday our new cupboard for the living room arrived. Actually it was from my boyfriend’s parents, but they didn’t want it anymore so we would get it, for more storage space. They sandpapered it and painted it anew, so it looks new! 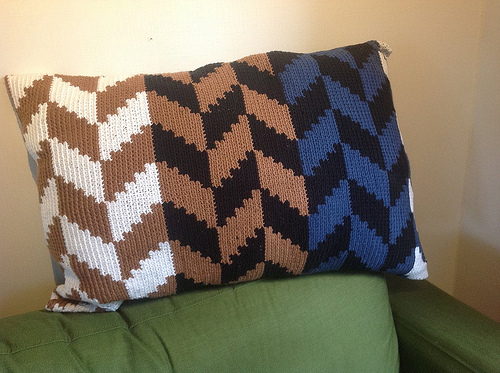 Now to actually find time to move things there instead of heaping up in piles all over the house. I finished 6 books so far and all counted towards the scavenger hunt as well. I finished Visions by Kelley Armstrong this week and I loved it. I then started Freya’s Inferno, not sure if it would win the poll, but I decided I would read it anyway. On my ipad I finished Led Astray and am now reading Second Chance Summer by Jil Shavis. 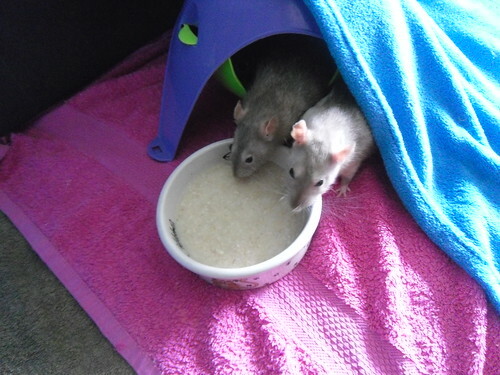 Smarties and Snickers enjoying their porridge. Snickers in one of their hammocks. Tuesday: Risotto with red bell pepper, green peas and corn. Spiced with koriander and ginger. Wednesday: leftover Risotto with red bell pepper, green peas and corn. Spiced with koriander and ginger. Saturday: Bami with saté sauce and chicken for my boyfriend and vegetarian meat substitution for me. 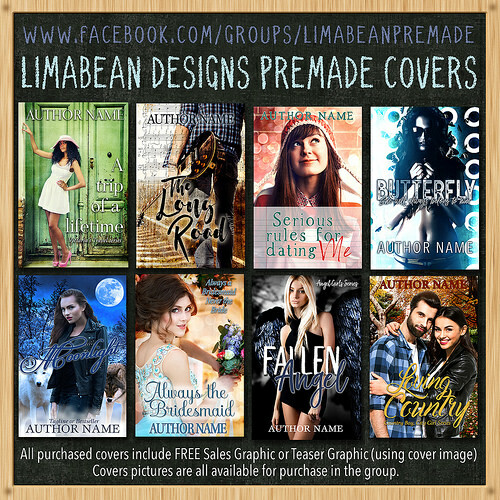 – Lola’s Ramblings: How do you Decide Whether to Continue a Series? 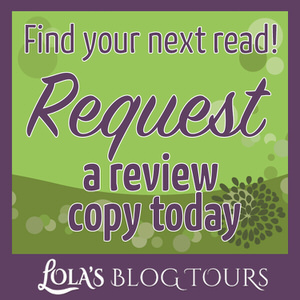 – Review Opportunity: 3volve and The Shadow of Loss by Josefina Gutierrez – New! – Blog Tour: Destiny Rising by Siobhan Davis – runs from 1-21 September – New! That cover is so pretty and it sounds really good as well. Eep! I am so excited for this one! I badly need more storage space for my books but I just don’t have a spare wall for another bookcase! I’m going to look at all my books and decide what I can live without and hopefully I can free up a shelf or two for my next purchases! Enjoy your books! This is actually storage space for everything beside books, although within a year or so I probably need another bookcase as well. I have just enough room for one more bookcase. 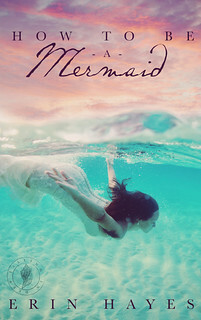 oh my that mermaid book sounds dang good!! I am so adding that one to my list. I love mermaid books, I guess its because my fav movie growing up was little mermaid, so its always been a soft spot for me. 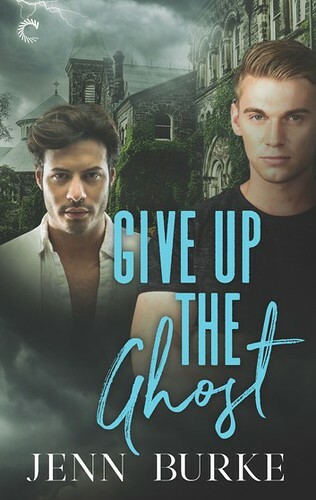 I saw a few book blitz posts about it pop up on the blogosphere and that cover and the blurb just got my attention. So happy to have gotten a copy for review! I also really liked little mermaid, but haven’t had much luck yet with mermaid books. So I am hoping this one will be good! Your books sound so good. Glad to hear that Snickers is doing better. 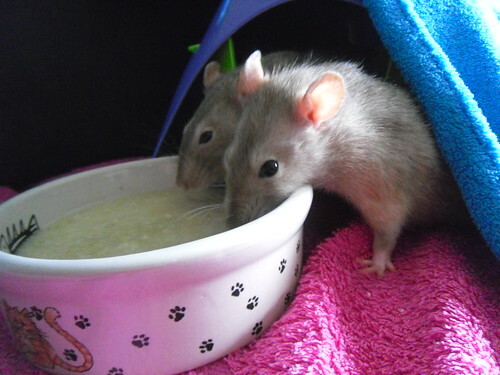 They seem to like the porridge that you made them. They are such good pets. I hope you love all your new books. I am really happy Snickers is doing better, she’s a bit grumpy and doens’t want out the cage now, but she’s doing better now she’s back in the cage. The rats love their porridge, they get some every tuesday when I clean their cage. Glad snickers is feeling better! I almost requested the Night Parade, and now that you have it I want it lol. I will think about it but the cover is very attractive. I am glad they are going to send you another one, I have been wanting one of those coloring books, I saw them at B&N should have picked it up but my family was all rushing me and I didn’t have time to grab it. I am so happy her recovery is going well, even though it will take a long time before her wound is fully recover, she seems more of her normal self now. I was in a MG mood and request three MG books in total. I just couldn’t resist that cover and when I mentioned it to my boyfriend he told me some japanese myth/ lore surrounding it and how many anime’s also feature that topic and it made me even more curious. And that cover is so pretty! I really want to give colouring a time, sometimes I want to do something relaxing and not read and this will be perfect. I am really happy with the bookdepository their customer service and that they are sending me a new copy. I asked a few more colouring books for my birthday and more pencils. I can’t to give it a try. My mom and sister also rushed me when I was in a bookstore when shopping this week. I could easily have spend another hour there or so ;). How to be a Mermaid sounds really good! Hope it lives up to the blurb. I requested The Night Parade via NetGalley after seeing Anya talking about it. Hope that one ends up good as well. Glad Snickers is doing better! That bowl of porridge looks huge, do they manage to finish it all? Or is it a multiple day treat? I haven’t used the book depository yet, any time I go and look for books there I find I can get them cheaper elsewhere. Might be the books I’m looking for though. Good to know they have such awesome customer service, and I hope you get your coloring book soon! I hope I cna read How To Become a Mermaid soon, I haven’t had much luck with mermaids books yet, although I love the concept. So I hope this one is good. And The Night Parade sounds amazing, I also saw it on Anya her blog this week after I already got accepted for it. No they usually don’t even manage to finish half of it, but it’s the best bowl I have for them as they can’t move this one around or toss the contents on the couch. And I am really bad at making the right amount for them. I am so jealous of you US peeps who can get books cheaper than the bookdepository. The bookdepository books are 2 till 4 euro’s cheaper than anywhere else I can buy books. I am so glad I found their site. And free shipping is pretty neat if you live in europe. their customer service is pretty ncie, they always respond soon and they few times my books got lost int he post they always were willing to solve it and send a enw copy. Definitely appreciate that! We don’t have AC here, so opening all the windows is the only thing that helps a bit, but then it still takes a long time before it cools down a bit. Yes the blog tours are doing pretty well, which makes me happy :). I hope Snickers her recovery keeps going well. I’m going to have to look for the mermaid book. 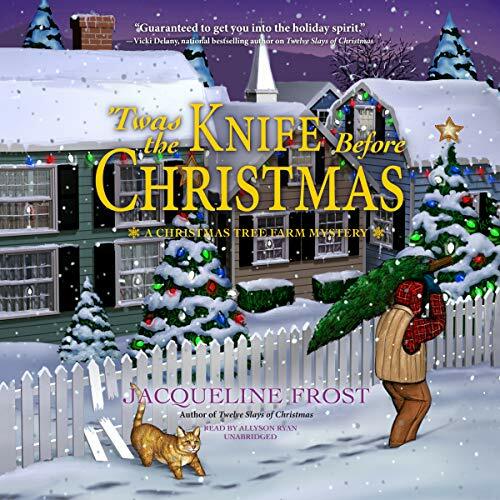 The cover is so pretty and the synopsis looks right up my alley! Hope you get your coloring book soon! I’ve never ordered from them but it sounds like they are working with you so that is good 😀 Hope you have a good week and happy reading! This cupboard is actually for things beside books, although I could use a new bookcase soon as well. we also have three bookshelves and half one. the half one is for our manga’s and one of them is mostly for my boyfriend his books. I really like the sound of that mermaid book, it sounds really good, with someone wanting to be a mermaid and actually turning into one. Can’t wait to read it! I hope the colouring book arrives soon, can’t wait to start colouring! I am happy with their customer service so far, they reply quickly and are always helpfull. So far they always send me a new book or my money back if one of the books I ordered didn’t arrive. I’m so glad to hear that Snicker is doing good and healing nicely. I’m sure they are both happy to be together. I love the pictures, they are so cute. Storage space is a minimum here in my apartment. Ken and I live in a one bedroom apartment that is 650 square feet. There is the bedroom closet and one hall closet. So we have things like a microwave cat that has drawers, a huge dresser and two smaller dressers. We are hoping to move in the near future and when we do I want more storage space. It makes me happy to see her doign better, although she’s abit of a grump now and doens’t want out as much. They are really happy to be together again, they just don’t deal well with being alone. Oh I can imagine storage is a reall problem them, we have enough room, but we didn’t have any cupboards and such to store things out of sight. So I am happy with this one. I’ll try to make a picture of the cupboard next week. Glad you were busy with work projects and that’s fun that you got to go out with your family. Good that the surgery recovery is going well and that’s great that you got a nice new cabinet to organize your things. It’s been hot here where I’m visiting family so we went for a day trip into the mountains and enjoyed walking and looking at pretty nature in much cooler temps. Hope your house cools off! 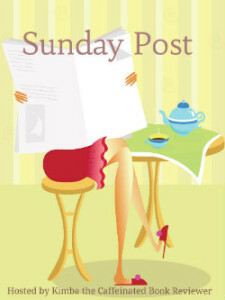 I’ll have to take a picture of the cabinet next week so I can share it in my sunday post. Snickers is doign rgeat, but her wound hasn’t fully recovered yet. Our hosue finally cooled down 3 degrees celcius during the past week. It’s been going slowly, but at least it’s cooler now. I love walking in nature, enjoy your family visit! Smarties and Snickers are so cute. Thanks for sharing pictures of them. How to Be a Mermaid and The Night Parade both look good. Happy reading! Thanks, it’s hard to take good pictures of them sometimes. I am really excited for all three books I got this week! I like the Night Parade, I will have to look it up some more. Get well soon, Snickers!! Thanks! Snickers is doing well, although it will probably take a bit longer until she’s fully back to normal. 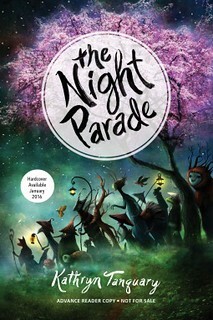 I am really curious about The Night Parade, I probably will read it after I finish my current ipad read. I like the look of How To Be A Mermaid – what a gorgeous cover! The cover is what got my attention in the first place, it’s so gorgeous. And I haven’t read a lot of mermaid books, even though I do like mermaids. I love Daal, it’s one of my favorite Pakistani cuisines. I like the small daal better though, my family is addicted to kidney beans, the big brown ones which I hate lol. How To be a Mermaid sounds interesting though, I haven’t read any books on those – they’re really underrated in fiction. I usually made indian daal. I also like the small daal better I think, I don’t like the structure of larger beans,but with small daal I don’t really notice that as much. I love daal dhokli, it’s one of my favourite lentil dishes. I agree mermaid are really udnerrated in fiction and the ones I have read or heard about don’t seem to be that good. So I have high hopes for this one as the plot sounds good and original. That is sad your colouring book still hasn’t arrived, hope the replacement gets to you soon, I hate waiting! So glad snickers is better, they are both so cute! I am going to check out The Night Parade, it looks great. I really want to give a it a try and pretty impatient by now. So I hope the replacement arrives soon. Thanks! Snickers is doing well, but it will be a while before her wound isn’t visible anymore. I probably will start The Night Parade after I finish my current ipad read, it sounds so good! It’s so cute to see the two rats together! I’m glad to hear Snickers is feeling better and all healed up. And it sounds like you had a nice trip out to the Hague! I’m a little jealous. I’m also glad you’re excited to read Summer Haikus. I really hope you enjoy it. They are adorable indeed :). Snickers her wound is still visible, but it is gettign better, part of the scab fell of today and it looks better now. For us The Hague is just a short train ride away and we mostly spent time shopping. I hope you’ll get to visit it eventually. I have one more book to read first, but then I am starting Summer Haikus. I am so excited for this book! I hope you get your coloring book soon (I love coloring!)! That’s great the Book Depository is sending you another one. I love that you share your weekly menu too – adds a nice personal touch i think! The colouring book arrived today :D. I am really excited to give it a try, this is my first adult colouring book, but I loved colourign as a kid, so I think I will still enjoy it. OKAY, I have to ask… How can you tell Smarties and Snickers apart? Is one lighter than the other? They look alike in the pictures! They are soooooo cute!!!! Dang, you are so busy!! Have a great week!! They actually are pretty hard to tell them apart. Smarties has a slightly smaller face than Snickers, her face just looks a bit different and she has a white line on her belly. While Snickers is completely grey and she has a shaved of place now thanks to her surgery. When they were younger they were really hard to tell apart and we had to check their belly to know who was who. But now that they are a bit older you notice they look more different. Although on pictures it’s still hard to see sometimes as you can’t see them from multiple sides. I try to remember who I photographed ;). Glad Snickers is recovering. It seems like there is never enough room for books. Somehow they just keep multiplying. LOL. We are fortunate that when the front part of the house is hot, the back is cooler and then later in the day it is just the opposite. Have a great week. The cabinet isn’t for books, but for other general stuff we keep around. Although I could use a new bookshelf as well soon. Although I mostly read e-books now so the multiplaying of books in my house goes less fast. We usually have the wind from a certain direction and the the sun on the other side of the house, which usually means one side is cool and the other not. but when it’s really warm it seems to switch in temperature somehow. I know right, they are so cute :). The original copy of the colouring book arrived yesterday, a month after it had been shipped. But they already shipped the second copy as well, so I get another copy now. Their customer service is pretty great. I’m so happy Snickers is healing well, Lola! And that she’s back in the cage with Smarties again, too. It sounds like your day-trip to the Hague was a success, it’s good that you got to spend some time with your mom and your sister. I hope your week has been good so far. Happy reading. It’s such a relief Snickers is doing well. 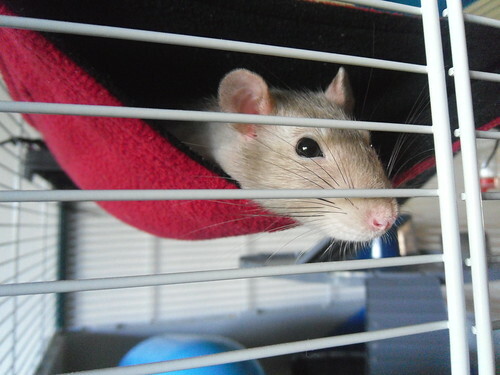 She already beat Smarties a few times in a fight, showing she’s still the alpha rat. 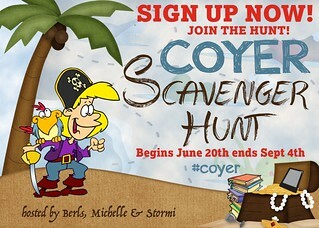 I want to read the mermaid book during Coyer so it counts for the scavenger hunt :). 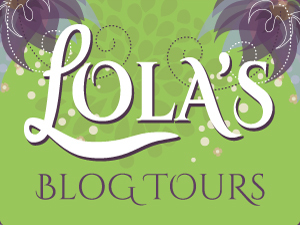 And indeed I don’t mind being busy as it’s the best feeling to have Lola’s Blog Tours doing well. It’s the good kind of busy. And I don’t deal well with not having enough to do, so I rather be busy.